Setumo Mohapi, the former CEO of Sentech, has taken the reins at the State IT Agency (Sita) after all. He began his duties at government’s central IT procurement agency on Wednesday, TechCentral has established. 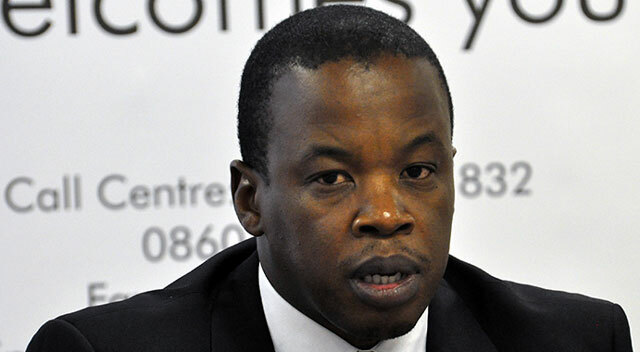 Last month, cabinet announced that Mohapi would replace Freeman Nomvalo as CEO of Sita. But, in a bizarre twist, Mohapi denied in an SMS sent to TechCentral that he had been appointed to the position. Sentech later issued a formal statement saying that he remained “dedicated to his current position”. Sentech said in the statement that Mohapi remained committed to serving Sentech and that although it was an honour for him to have been asked to serve in another position, the company would communicate any changes later. Cabinet spokesperson Phumla Williams indicated that government had only endorsed Mohapi’s appointment and other details were still to be finalised. It appeared that cabinet erred by announcing Mohapi’s appointment before the process had been concluded. Nomvalo’s contract at Sita ended on 31 March. He joined the company from national treasury. Since 2013, he has been leading a turnaround at the dysfunctional technology agency. Sita is the central IT services and procurement agency for all three levels of government — national, provincial and local. It has suffered from instability at a leadership level, with as many as 18 CEOs in its 15 years of existence. Mohapi took the reins at Sentech in November 2010 when the state-owned signal distributor was in a parlous state financially and operationally. He is respected for the work he has done at the company. This appointment is a great illustration of our government with respect to redeploying the few that have the ability to do the job at the expense of the organisations they have improved. It’s not sustainable – government has to start appointing those with capabilities and getting rid of all its dead wood (which is a forest at this stage). Freeman Nomvalo really succeeded in turning SITA around and regained confidence from most Clients. Thank you and weldone to Freeman. All the best for the future. Welcome to SITA Dr. Setumo Mohapi. Given your track record, I have no doubt that you will serve SITA and its clients to the best of your abilities. Rest assured, you have our support.